For simplicity, we are going to run the Netflow ingester on the same machine as Gravwell. Since Gravwell is already installed, the installer should be able to pick up the correct information to connect to the ingester from the existing gravwell.conf file. Note: Be sure to check the downloads page to get the latest version of the Netflow ingester installer; we may have uploaded a later version! The installers shouldn’t ask any questions; they can find the information they need from the existing Gravwell configuration. By default, the installers will listen for incoming Netflow v5 records on port 2055, ingesting them with the tag “netflow”. Depending on your network environment, you may have several options for generating Netflow. 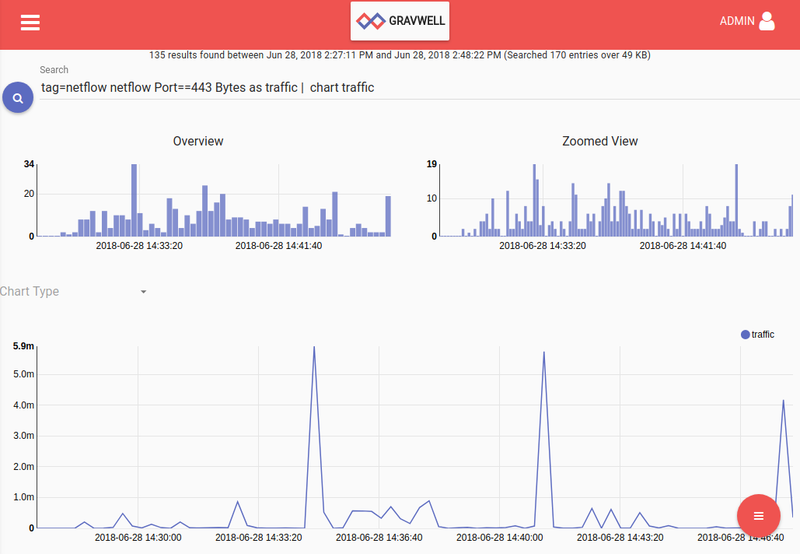 I use a FreeBSD system as a router, so I have configured it to export Netflow records for the Internet-facing interface and send them to Gravwell. If you have a reasonably competent switch or router, it may be able to export Netflow for you as well. 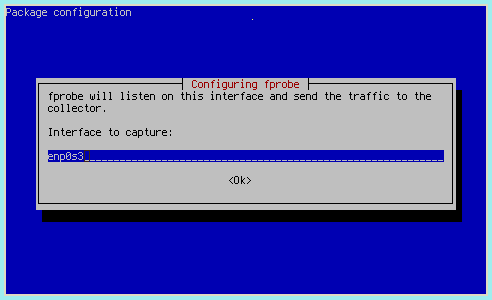 To keep this blog post simple, I’ll show how to set up fprobe on a Debian Linux system, in this case my laptop. If you’re running Linux on your router, you could use this to monitor your whole network, but since I’m installing it on my laptop I’ll only be capturing a portion. 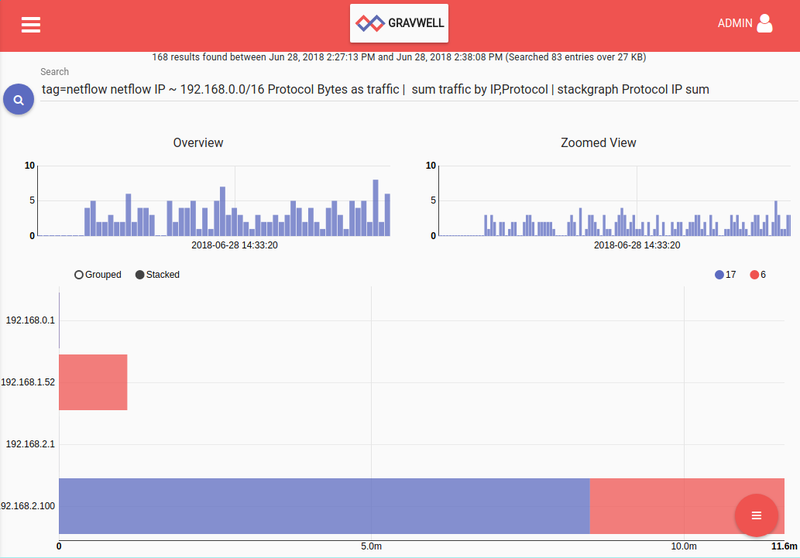 Once installation completes, fprobe will begin sending Netflow records to my Netflow ingester, which will in turn send them to the Gravwell instance. 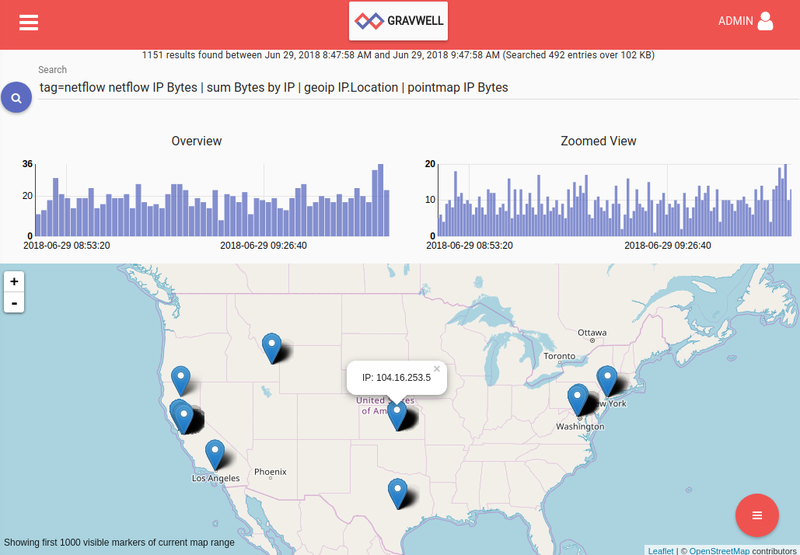 Gravwell includes a search module specifically designed to parse binary Netflow records. The full documentation is available on our documentation site (https://dev.gravwell.io/docs/#!search/netflow/netflow.md), but I’ll give a few examples in this section to give a feel for how it works. After restarting the ingester, configure your IPFIX generator to direct records to port 6343 on your ingest machine. YAF (https://tools.netsa.cert.org/yaf/yaf.html) can be used on a Linux system to generate some IPFIX records for testing. Once records are flowing, you can use the IPFIX module to parse the records and extract fields. Refer to the documentation for more information and examples. If you're building a Home Operations Center, you'll certainly want to know who's poking around your network file share. For those of us who haven't welcomed their new data overlords and pushed everything into the cloud, some basic netflow searches can yield results. Let's start with a straightforward search that shows us a quick graph of which systems are communicating with our Windows server. For this example we're looking at a 10.0.0./24 network that has a windows file share running on 10.0.0.1. This search includes a sum module to weight our force directed graph edges based on how many bytes were transferred between the server and the client. Darker edges between nodes mean more active file share use. Looks like we're seeing only two clients in this time period. One of them more heavily using the file share than the other. This might be a view we'd like to add to a dashboard, especially for small networks where noticing a change would be easily done at a glance. 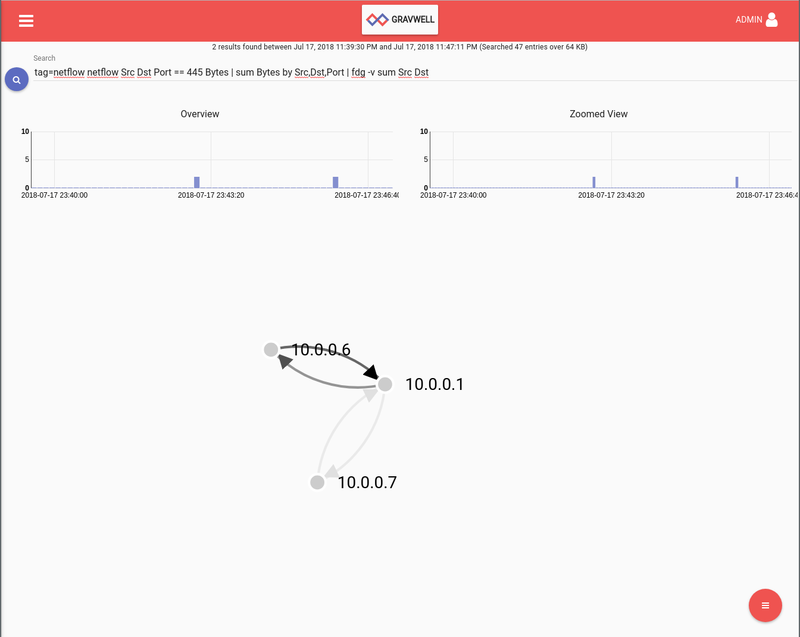 If you're interested in doing netflow monitoring a larger homelab setup or at work, relying on your subconscious to notice changes in the graph is probably insufficiently actionable. Let's take this chance to explore how the resource system within Gravwell can be used to create network whitelists. In this instance, 10.0.0.6 and 10.0.0.7 are "approved" clients to the file share so we'll whitelist them and create a table that tracks any violations to the whitelist. For this post, we'll go through this manually but the integrated orchestration and search scheduling system can be set up to create these types of lookup resources automatically. This system is primarily script-driven for now but big usability improvements are coming down the road. First, let's get the results in a table which we can export as a "Lookup table" for use in our resource system. We invoke the unique module because we only want a list of each flow that has been seen, not the entries of every flow. Use the search results menu button to choose the download option, select Lookup data, and save to disk. This saves the results of the search in a format that's usable by the Gravwell lookup system and offers better performance over a CSV, but you could easily create a whitelist CSV by hand (or using other tools) for use in Gravwell. With a network communications whitelist uploaded and ready to go we can now issue a search that checks that whitelist for violations and puts the results in a table for us to review. The big change here is the lookup module. This module is traditionally used to enrich data by enabling static lookups, such as resolving IPs to hostnames. Here, however, we are using a trick: the -v option will "invert" the logic (similar to grep -v) and pass through any entries that FAIL to match. This results in the whitelist behavior that we desire. Anything that does not match what is in this resource will be passed through and entries that do match will be filtered from the pipeline. Giving that search a run we see no violations, huzzah. Now....let's go ahead and connect up a cool new IoT device. In this totally hypothetical and not-at-all-real scenario, let's say it's a smart oven that forces you to accept a EULA before you can even bake a flippin' pizza. 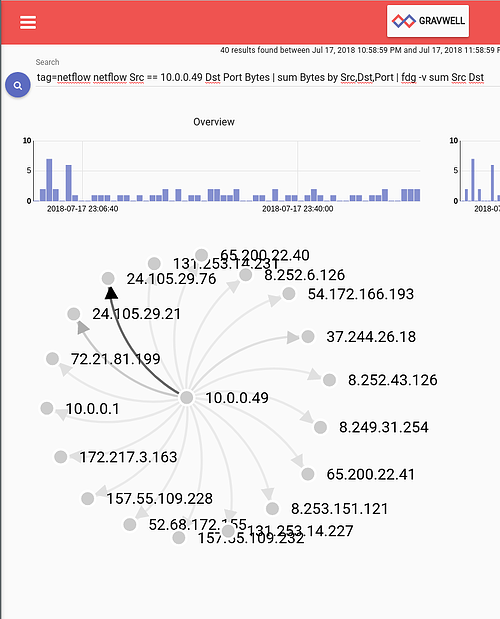 We can search our dhcp logs (a topic for another day!) to see that the new device got an address of 10.0.0.49. First thing's first, let's find out what kind of network communications this fancy new widget is conducting. A basic filter on the Src will tell all. Oh my. That's a lot of reaching out but looks like most of it is to a single IP. Let's ignore the internet for now and instead focus on those internal network communications. One generally wouldn't think an oven would talk to anything else on the network but it is 2018, after all. Let's investigate internal communications. We see DNS traffic as expected but, what's this?! Our IoT oven is cooking up a suspicious recipe and apparently the ingredients are our files! Time to add some firewall rules and think about maybe finally getting around to creating that untrusted wifi network for times such as these. Indeed, there's the oven, sticking out like a sore thumb. Our manual investigation was unnecessary; the whitelist of approved devices made it easy to catch the rogue device! 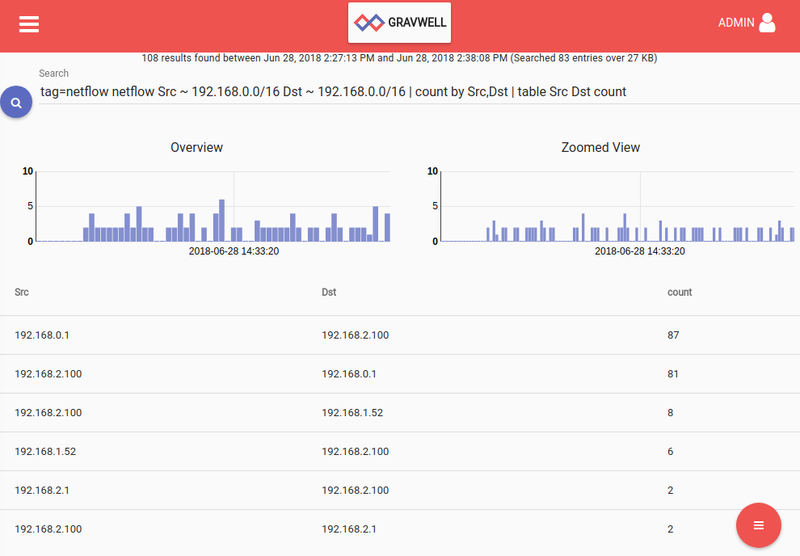 Netflow is a great way to keep an eye on your home network traffic using Gravwell Community Edition. Stay tuned for further blog posts that will help you gain even more insight into your network traffic! Response to the Community Edition has been great so far and it's exciting to see community members creating tools to help each other. If you're interested in trying Gravwell out at work, you can register for an unlimited data (but limited time) trial using the big red button below.